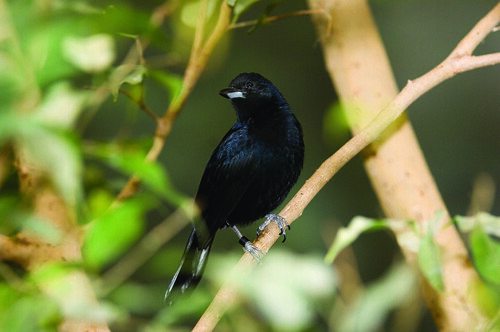 Medium-sized songbirds, white-lined tanagers are sexually dimorphic, meaning males and females differ in appearance. Males display black plumage, with white markings beneath the wing, while females are reddish-brown. 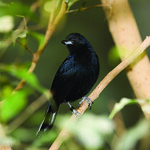 White-lined tanagers can be found in Central and South America, ranging from Costa Rica to northern Argentina. They also inhabit the Caribbean islands of Trinidad and Tobago. 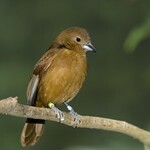 The white-lined tanager is common throughout its range. This bird can be found in forest edges and other semi-open areas, including parklands and gardens. 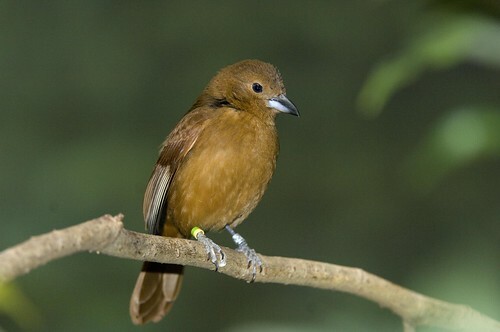 White-lined tanagers feed on rainforest fruits and seeds, with insects also being part of their diet. Breeding pairs are territorial, excluding other white-lined tanagers from their area. The female lays two–three eggs in a cup-shaped nest, incubating them for approximately 15 days before they hatch.